No release date yet. Read on for the pics. 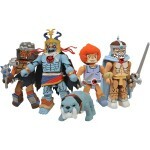 Icon Heroes has sent along word that they will be offering the next con exclusive Thundercats Minimates during San Diego Comic-Con 2013. These will be available via Action Figure Xpress at booth 3345. AFX has the pre-order page listed. You can pre-order them Here (for show pick-up) or Here (non-attendee). We’ve also added an in-package photo. 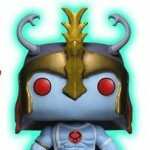 For the other Icon Heroes Masters of the Universe exclusives, check out Toyark.com. read on to see the Thundercats pic. 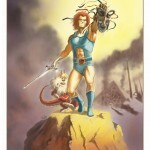 The 80s Toy Expo has revealed their exclusive Lion-O print by artist Shane Kirshenblatt. This will be limited to fifty 8.5 x 11 prints and fifty 11 x 17 and available through Shane’s table at the show on April 14th. The 2013 Canadian 80s Toy Expo will be April 14th, 2013 at the Delta Meadowvale Hotel and Conference Centre – 6750 Mississauga Road, Mississauga, Ontario. Special guests include Larry Kenney the voice of Lion-O in Thundercats and former WWF Superstar Tito Santana. 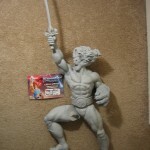 One of the coolest Thundercats statues made was the Pop Culture Shock Lion-O Statue. It was a great looking statue with a dynamic and iconic pose. an auction has popped up for a Prototype Pop Culture Shock Lion-O Statue. The prototype is unpainted and includes a certificate of authenticity. Read on for a few photos and check out the auction Here. 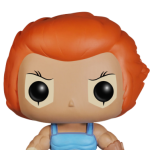 Taylor Made Treats, a baking and treats blog that features some really nicely made treats, has a cool post worth checking out, especially for the Thundercats fans out there. 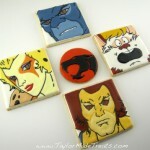 On the latest blog post, they show off some beautifully done Thundercats Decorated Cookies. 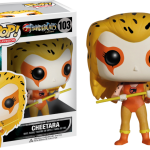 They feature Lion-O, Cheetara, Snarf, Panthro and the Thundercats Emblem. Click the headline of the story for a few pics, and read the rest Here.